Chemical results: Thallus K+ crimson. Occurs on upland nutrient-rich rocks, also found on concrete, slate and asbestos-cement in lowland and urban areas. 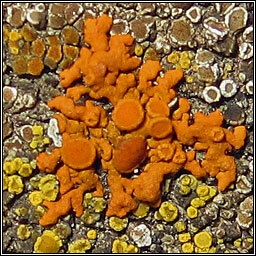 The adpressed thallus forms orange-red rosettes with narrow, radiating, convex lobes, 0.5-1.0mm wide. 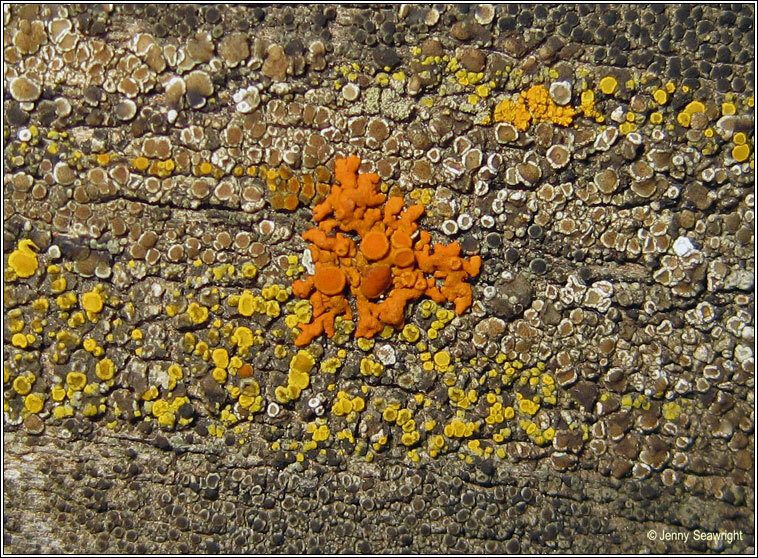 Abundant apothecia form in the centre of the thallus, their margins +/- crenulate.